Customize as you desire and style as you please, MyTresses Gold Label is 100% Unprocessed Human Hair at an 8+ quality grade. 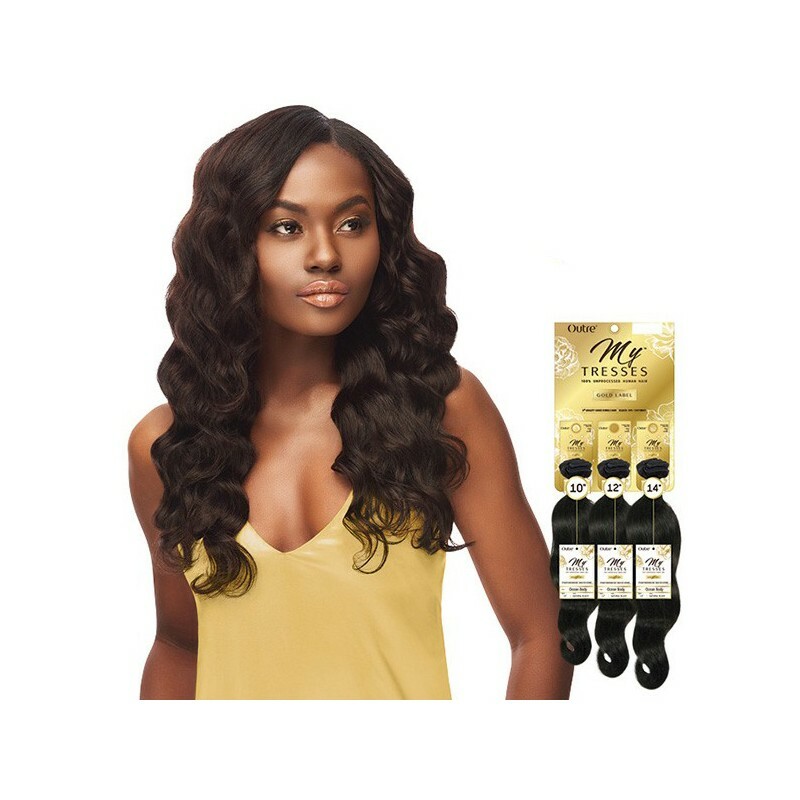 Made with healthier, thicker, longer-lasting hair, each bundle features easy-to-blend textures that are designed to bleach/dye/customize effortlessly. MyTresses is your tresses, your way. Length : 10"12"14", 12"14"16", 14"16"18", 16"18"20", 18"20"22"